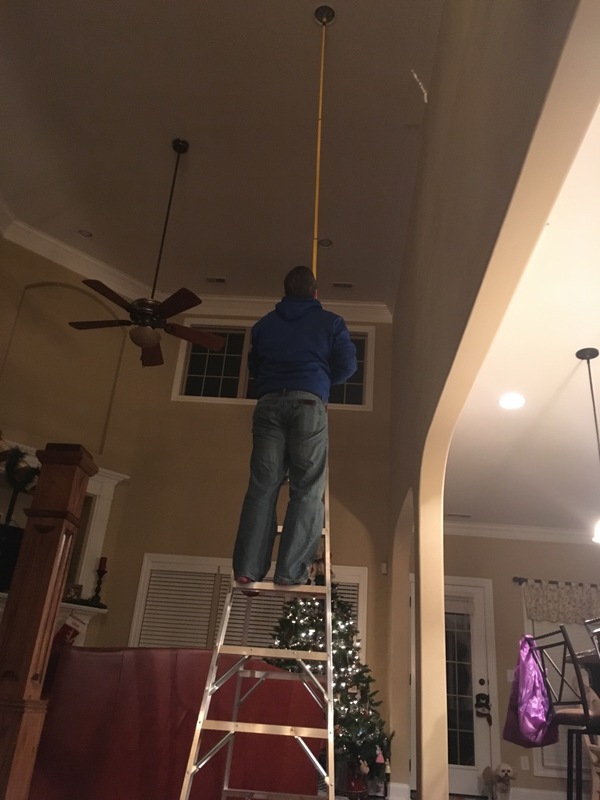 When Jason and I built our house 4 1/2 years ago, we wondered how we would change our recess ceiling lights. Our ceiling is quite high. Tonight we changed our first light. It cost quite a bit because we had to buy a ladder, a light changer extension stick, and some really large lightbulbs. I had to document the changing of the light. I’m sure the others will fall in succession to be changed.